The wide variety of electric vehicles on the market presents a unique set of problems, especially with keeping those machines charged and ready for use. When you add in the different battery technologies: flooded, AGM, Gel, Lithium... and the requirements each manufacturer mandates for the care of their products, the complications multiply. That’s why Fullriver has come out with the FR-1 Charger; a single unit that allows you to address all of your customers' needs. Multi-voltage, multi-amperage, with the ability to program the machine for each manufacturer’s charging algorithm, this is a tool that's customizable to every situation your customers present. Programmable via a separate Wi-Fi dongle and smartphone app, this charger ensures you can meet your customer's every need for 12V, 24V, 36V, and 48V machines. 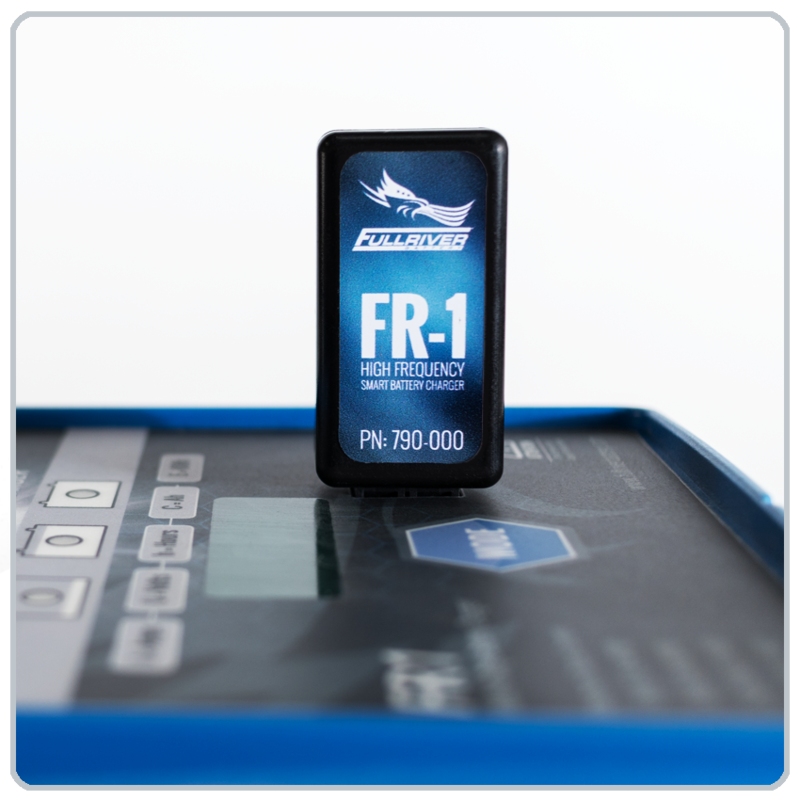 The FR-1 gives you the ability to download the last 100 charge cycles in order to diagnose problems, change algorithms when they change battery types or brands, and even to use the same charge on a machine with a completely different voltage later. With the Wi-Fi dongle, you retain control over the machine to ensure that 'user error' doesn’t inadvertently cause a problem in the field. Also, the ability to stock a single machine to cover four different voltages means you don’t have to stock multiples of each voltage charger to be ready to serve your customer’s needs. The Fullriver FR-1 charger helps your inventory requirements go down, while increasing your ability to service and maintain a relationship with your customers. That’s a winning formula for your customer’s satisfaction, and successful retention of the people who rely on your expertise.